This centerpiece contains four different varieties of Asparagus. Such great greens to use in your designs, or to use in one design like this centerpiece. The white Freesia and Silver Dollar Tulips really finish the look and make it very nice for this winter as well. 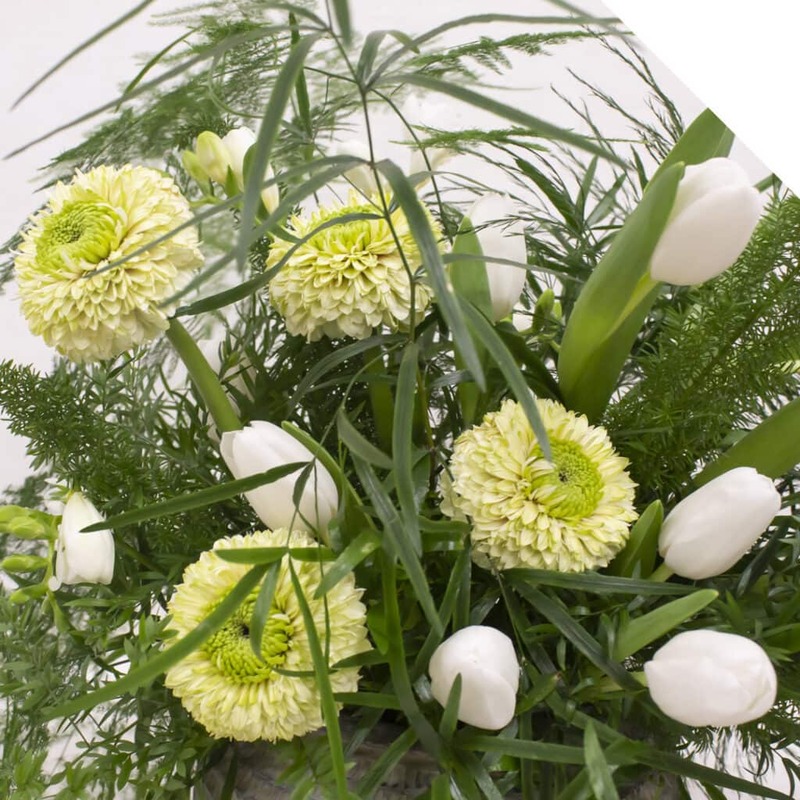 Visit our webshop to order the products and create this greenery centerpiece with tulips! Fill a large bucket with fresh, clean water. Put the floral foam in the water. Don’t push the foam under water but let it hydrate by itself, otherwise the floral foam won’t hydrate well. Cut the floral foam into shape and push into the planter. Start by creating a base of Asparagus. Add the Asparagus Secateus, Densiflorus Meyeri, Falcatus and Densiflorus Cwebe. Spread them evenly into the floral foam. 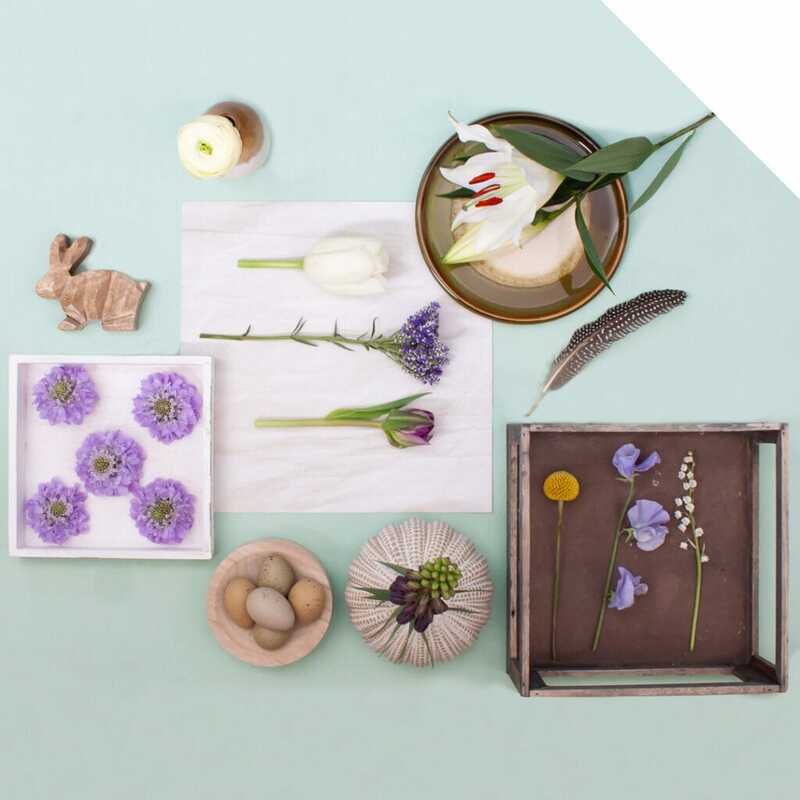 Now add the Germini, Tulips and Freesia to your centerpiece. Again, spread them evenly for a nice result. Your Centerpiece is now ready! Enjoy!